Technology is becoming increasingly dynamic, and it seems that not a week goes by where a device isn’t getting an update, or there is an improved version of a software available. Businesses must work hard to keep up to date with these changes and integrate new technology into their everyday processes in order to continuously improve their productivity and efficiency, while also keeping up with their competitors. The digital transformation of companies has really taken off, and there is no sign of this trend stopping. However, many SMEs seem to be under the impression that digital transformation will only work for a business which is committed to huge sums of investment and therefore their ROI will not be worth it. We know differently. 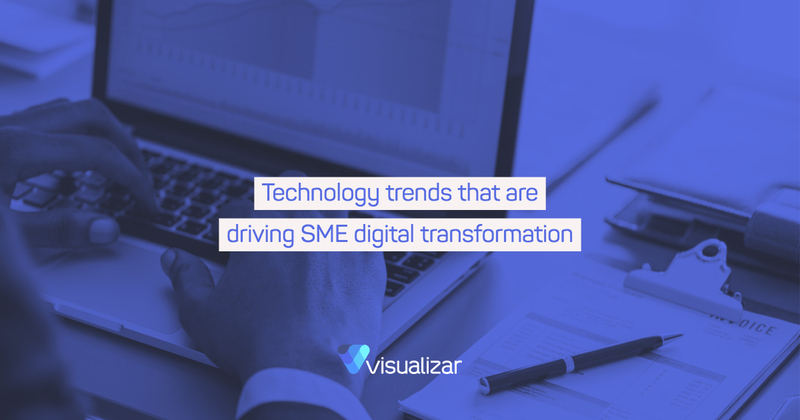 Here is a list of the top technology trends that are driving SME digital transformation. SaaS allows SMEs to access large-scale software solutions for a significantly reduced cost than was previously available. Instead of purchasing the software and licencing fees, a company can instead pay a small monthly subscription fee to use the service, which fits the needs of smaller business perfectly, while allowing them to access the efficiency bonuses that these different software packages can provide. BYOD is a rapidly maturing concept that allows employees to use their own devices for work purposes. While this gives the employee familiarity with their device and allows them to use what they feel comfortable with, it also saves the employer large financial outlays for hardware. It is important to concentrate on the security of these devices though, and securing and managing the endpoints is a necessity. Instead of trying to manage your systems yourself, IT outsourcing allows a professional and expert team to provide constant management and maintenance. In a time where companies, their websites, and chatbot services need to be active 24/7, it makes sense that their IT provisions allow for this – a well-chosen company will provide you will all the help you need. At Visualizar, we pride ourselves in helping businesses of all sizes to implement high impact digital strategies in order to grow, thrive and develop in the ever-changing digital space. For more information about our services, please contact us.